Home » My Homestead » Giveaways » Giveaway – Riceworks! and I’m a chip addict! That sounds kinda crazy, huh? Well, that’s my current snacking confession. No, I don’t eat them every single day and certainly not at every meal…though if someone invented healthy, nutritious breakfast chips, I’d probably be tempted to try them, but, like most people, I like to have a treat once in a while. One of my all-time favorite treats is chips and my favorite kind are Riceworks Gourmet Brown Rice Crisps. 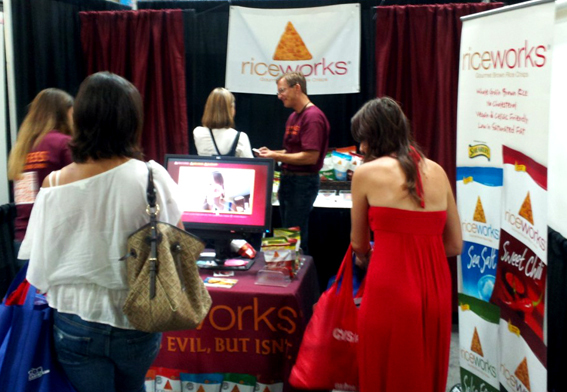 When I was at BlogHer roaming a bit through the expo, I came across the RiceWorks sponsor booth. I couldn’t resist visiting and expressing how very much I love their chips. My family and my co-workers can vouch for me here – I always have a bag of them around. While at their booth, I also took the time to confess my snacking sins. If you’d like to confess your snacking sins, visit the Riceworks Site. After your confession, they’ll send you a $1 off coupon for a bag of their chips. The flavor I love the most (and the kind currently in my office) is the Sweet Chili. I dare you to try to eat only one! Are you now wondering how a chip with these positive qualities can possibly taste so good? Many of my friends have wondered the same and only believe me once they try them. 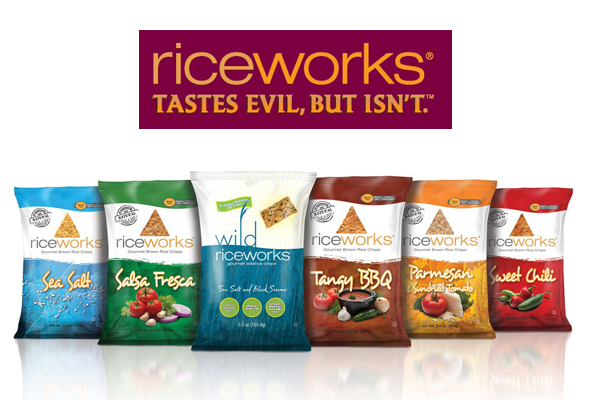 After my confession at BlogHer, the nice people at Riceworks offered me the chance to give away 5 coupons for 1 free bag each (flavor of your choosing) to my blog readers. If you’d like to enter to win one of these coupons, leave me a comment below. First 5 comments win!! You can also let me know what flavor you’d like to try. Personally, I haven’t tried a flavor I don’t like. Good Luck and Happy (healthy) snacking! oh very fun that a trainer recommended them!! They’re so addictive…I have to be careful whenever I open a bag!! That tangy BBQ sounds delicious! The sea salt and black sesame sound delicious! I’d love to try the Salsa flavor!